History & Heritage come alive in Union County. Explore 17 locations identified as 50 years or older throughout the County. Locations include historic landmarks, local businesses, attractions, and interesting museums. 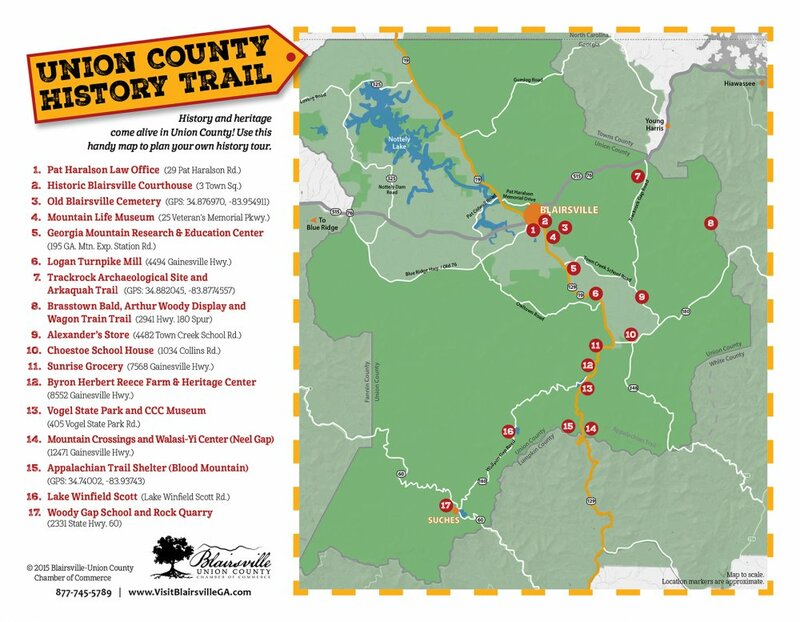 Whether you explore only a couple or choose to experience each stop, you will be enamored by the culture and history of Blairsville-Union County at each destination. Print Your Trail Map Now!